Let's face it: being a mom is like being a superhero. You better come prepared, because you never know what crisis lies ahead. So grab your capes and let's get to work! I'll share my thoughts on parenting, organization, recipes, books, DIY projects, saving money, and more! I'm going to keep this very brief. There's really only one thing I want to tell you...buy this book. Read it. Share it. Embrace it. You won't regret it. This is one of the best books I've read in a long time and during this trying time, it really resonated with me. A quote from Mother Teresa, "When a poor person dies of hunger, it has not happened because God did not take care of him or her. It has happened because neither you nor I wanted to give that person what he or she needed." Sumer is right around the corner! It's the season to be outside! Baseball season is in full swing and the bugs are out in full force! Don't let them put a damper on your outdoor time. Make your own bug spray using 4 essential oils: Peppermint, Lavender, Thieves, and Purification. This was so easy to make and smells great! It's small and compact, so can easily be taken on the go. It will be in our baseball bag each and every game we're at, as well as in our travel bag while we're at the park, on a bike ride, or just hanging at the neighbors. Want to make your own? I'll show you where to buy your supplies and you'll be off and running! Measure and mix together in bottle. If space left, add an additional 1 oz. of Witch Hazel and Distilled Water. Be sure to shake before each use! If your life is anything like ours, it's about to get quite busy! Though the weather has not been very cooperative thus far, baseball season is upon us. Practice and games lead to busy evenings, but with some planning ahead you can skip the drive-thru and feed your family a healthy dinner. Last year I found myself slipping into yet another food slump. Those recipes I'd made that I loved were getting OLD! I made the decision to become a Wildtree Representative and our menu has been spiced up (quite literally!) ever since. 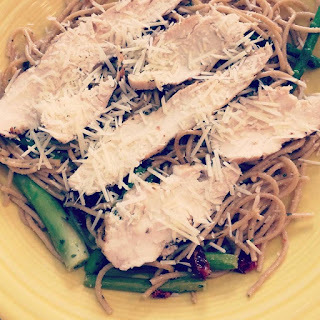 We are enjoying new-to-us meals each week and I'm coming out of my comfort zone and trying new recipes I would have never considered before. Wildtree products are allergy-free and free of dyes and artificial ingredients. This fits perfectly into our menu planning, as we have a child with food allergies and none of our kiddos can handle food dye. Many products are also organic and gluten free. Win-win! Today I'd like to share a quick meal plan you can utilize during this busy season. For your convenience, you can put some of the meals together and freeze them, while others take 30 minutes or less to prepare. I'm going to keep it simple and show you how you can utilize your purchased products to create multiple meals! This meal plan will provide meals for two weeks (or more!) and is a great example of how 6 products can be very versatile! Shake up your menu and stay sane during the season! Enjoy! Our beloved Cubs won the World Series! This season has been a wild ride and one for the record books. Our family has followed every step of the way and today we are celebrating the first championship in 108 years with millions of others! A day we'll undoubtedly always remember. 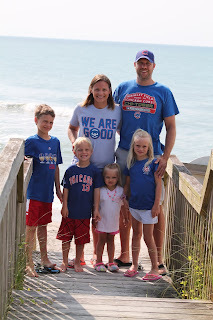 Our family bleeds Cubbie blue. I have cheered for the Cubs as long as I can remember and have ensured my kiddos will pass the love of the Cubs on for generations to come. It is so much more than a game: it's tradition, passion, and family togetherness all rolled into one. Each April our house is abuzz with the new season. We dust off our gear on opening day and cheer on our favorite players and curiously check out the new additions. The backyard is filled with, "The Star Spangled Banner," play-by-play announcing, a rousing rendition of, "Take Me Out to the Ballgame," and, if we're lucky, "Go Cubs Go." It's tradition and just a normal day around our house from April to October. It is how I will remember my oldest boy's childhood. 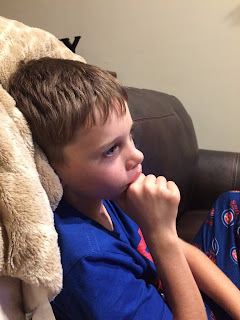 We knew he was going to be a die-hard Cubs fan very early on. He'd sit through countless games each season and take it all in. When he was a a toddler we welcomed a new member to our family: his imaginary friend Derek Lee. That guy went everywhere with us. 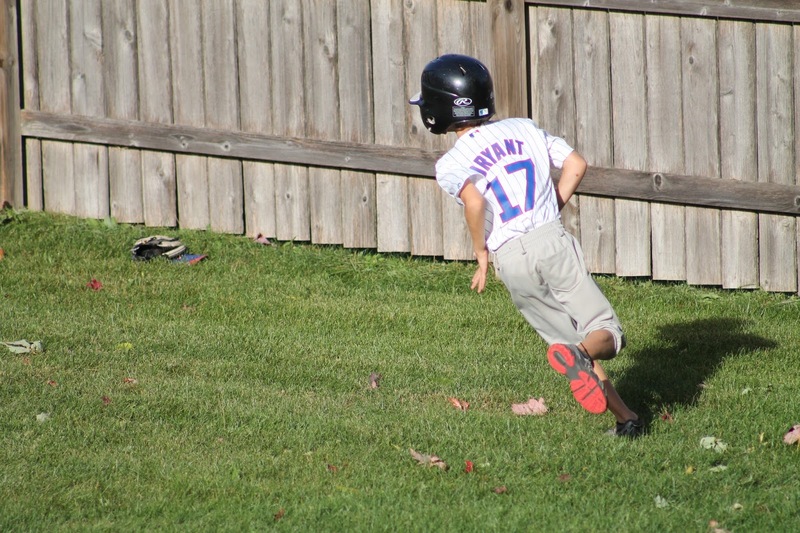 By preschool he had changed his name to Geovany Soto and spent hours catching in his paper plate mask, bib, shin guards, and crocs. 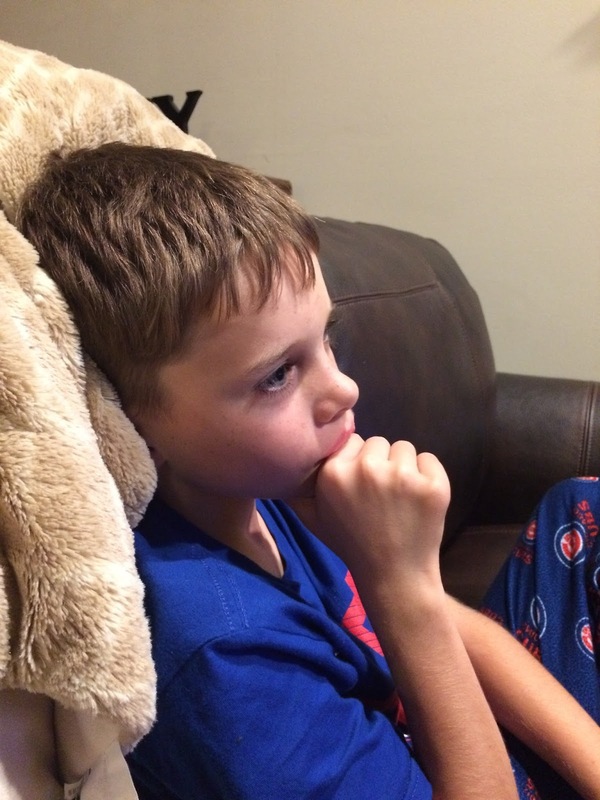 He now loves all things Javy Baez and Kris Bryant and aspires to be a Chicago Cub himself one day. 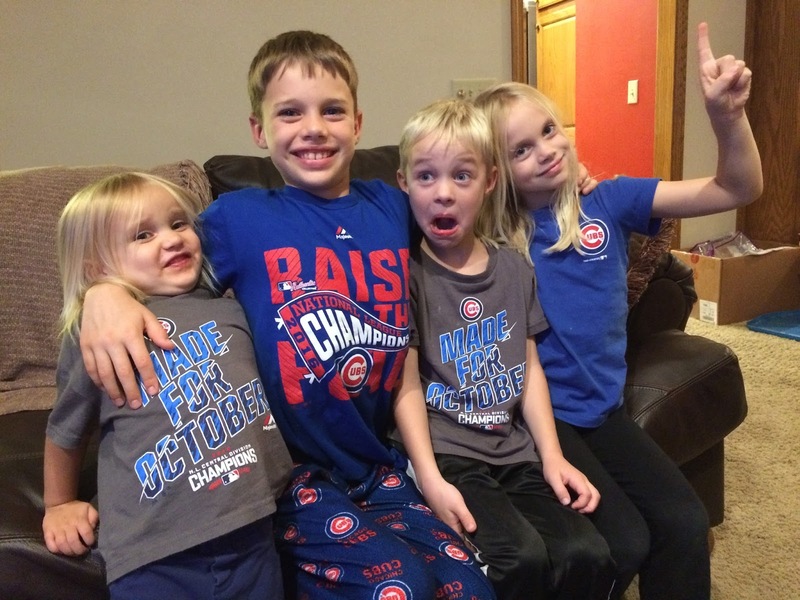 All of our kiddos cheer on our beloved Cubs. They pride themselves on knowing the names of the players and follow along almost as carefully as their older brother at times. A trip to Wrigley Field is a celebrated occasion and they've all taken to saving up money for a Cubs ticket there next season. It is so much more than a game: it's creating memories. It binds us together. This year has been magical from start to finish. It all began with a trip to spring training where dreams really do come true. 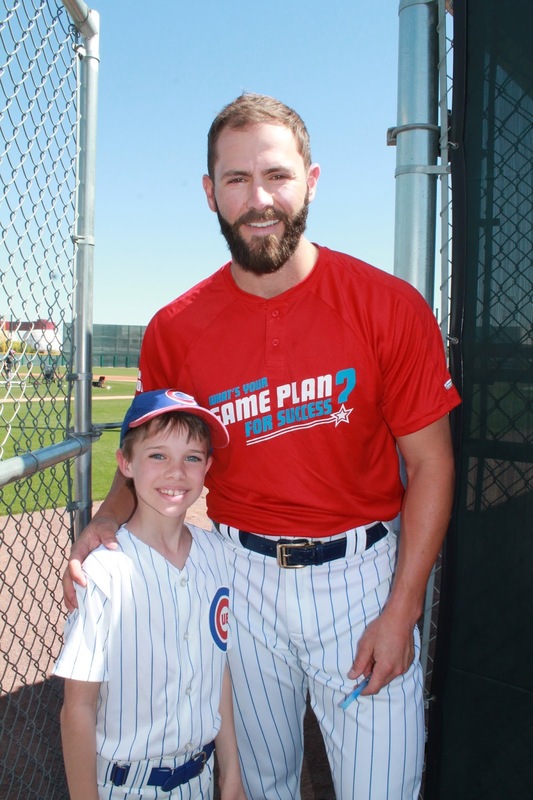 A young boy, who idolizes so many players on the team, had the opportunity to get up close and personal with his heroes. Photos, autographs, and simply soaking it all in was a dream come true. The whole family got into the spirit and cheered on the Cubbies in Wrigleyville West. We could sense that something was brewing then and all of the kids wanted in on the action. 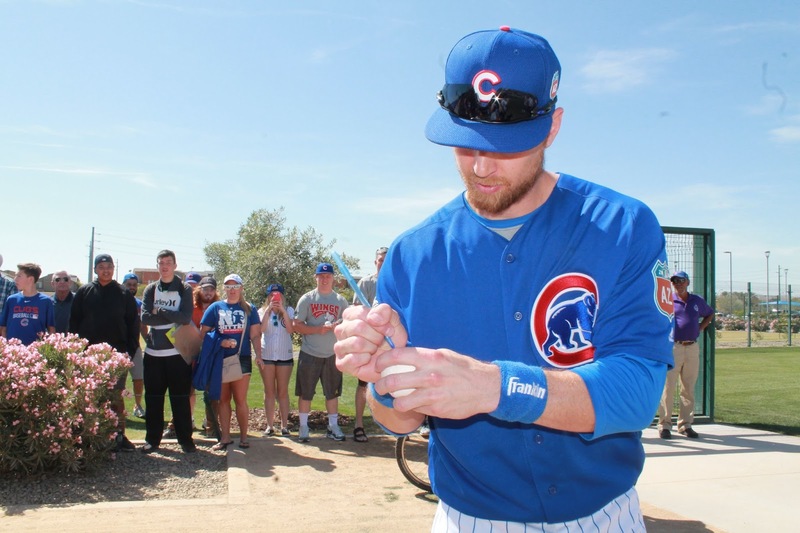 They all had the privilege to meet some of the Cubs young stars up close and snag some autographs. They have become prized possessions in this house. Our Cubs enthusiasm has stretched from the mountains, to the prairie, and to the ocean white with foam. 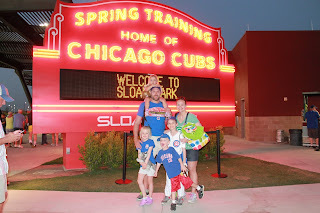 Everywhere we went we took our Cubs gear and took a picture. Deep down we just knew this year was going to be special. 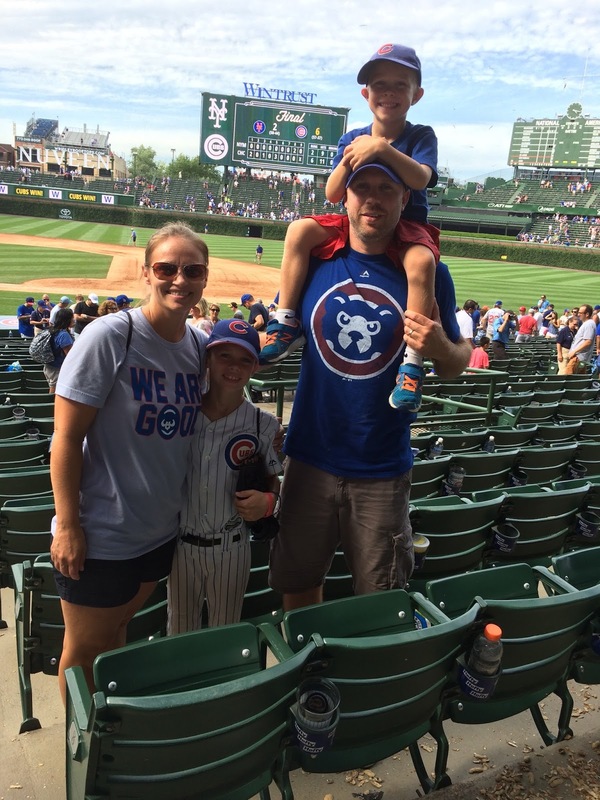 Our boys saved money to take a trip to a game at Wrigley Field in July. 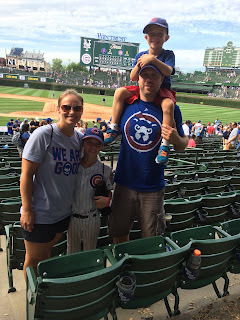 We saw the Cubs beat the Mets in a spectacular game and topped it off with a trip to Portillo's. A new tradition has begun. Late this summer we vacationed in Colorado while the Cubs were in town and took in a wild game at Coors Field. They didn't win, but it was a crazy night and one we'll always remember. My whole family was there and we cheered our hearts out despite the cold weather and rain. In early October we moved. 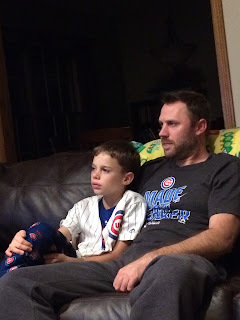 The last night in our home was spent watching the Cubs in game one of the NLDS. We had a party and the Cubs won. Seems like a fitting end to our time there. 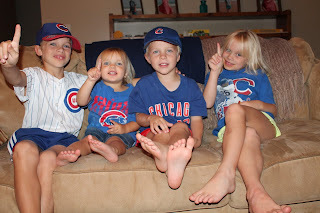 Since then, we've settled into our new home and spent many nights biting our nails and cheering for the Cubs. 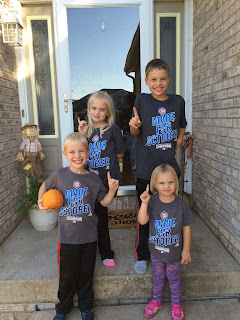 To celebrate the postseason, I found us all a matching shirts, which we quickly dubbed our lucky shirts. We all wore them when they won the NLDS and NLCS. Everyone put them on for game six of the World Series and look what happened! You're welcome, Cubs! It all came down to one game and it turned out to be a game for the record books. Surely it will be a legend passed down to many generations of Cubs fans. Some of us kept on those lucky shirts, dirty and all, while others opted for another "lucky" shirt. Whatever the combination, it worked. It was a late, late night, but one we wouldn't have missed for anything. Our hearts were racing and our blood pressure was rising, but in the end, we came out on top. 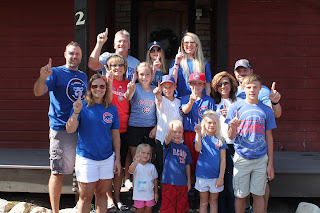 Today the Cubs are #1 and our family will have stories to tell for years about the amazing run of 2016. 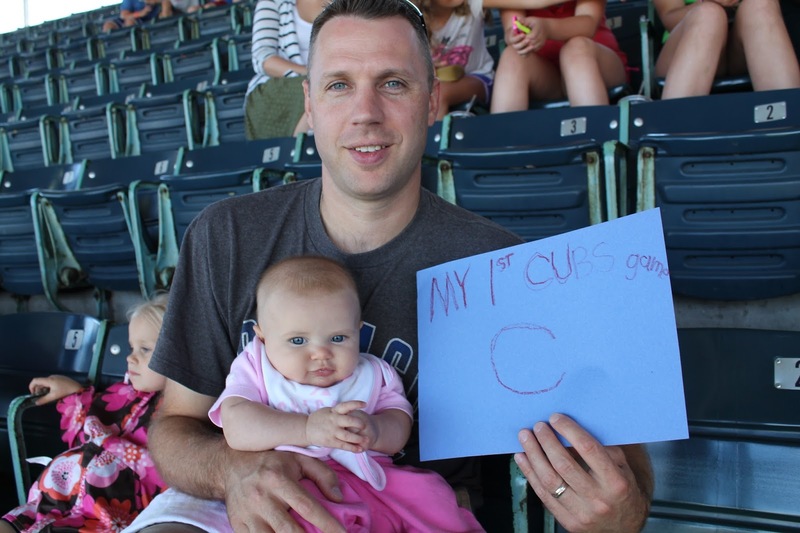 Our love of the Cubs is much, much more than a game. It's a common interest that takes us all over the country and brings us together right here at home. We cheer, we hug, we high five, we strategize and reminisce at the dinner table. Our love of the Cubs has been passed down from generation to generation. Through the good, bad, and the ugly we stick by our boys of summer. The family that cheers together, stays together. Go Cubs Go! This was the year! This summer will be the fourth anniversary of the creation of my blog. I remember starting out on this journey simply wanting to share my voice in a community of people who were able to relate. I desperately wanted to have something for myself. Ultimately, I wanted to feel relevant and heard. You see, at my house, my voice often gets lost in the mix of four kids and a husband. For a person who likes to be productive and feel purposeful, this can be a challenge. 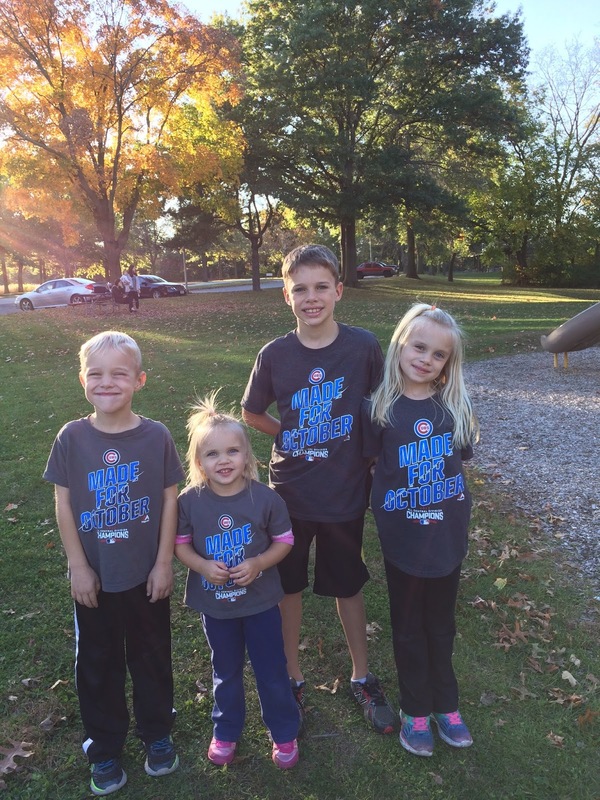 For many years I have questioned whether being a full-time mom was right for me. I've searched repeatedly for something to do outside of the house to not only generate income, but to feel valued and noticed. To have some tangible reward for doing my job. After many, many years of tossing ideas around, engaging in small side business ventures, and striving to find just the right thing, I opted to create my own business. A legitimate business. Paperwork filed and all! For the past six months, I have been a business owner. I am so excited to be the proud owner of a business I feel truly fits my personality and strengths. A mom-centered, organized, helpful service called the QC Busy Bee. The idea of this business is simple: making life simpler by helping others get back some of their time. I cannot tell you how many times I have thought to myself, "I just wish someone would come and take care of (fill in the blank)." These thoughts are what drive my business model. To most employers, my resume would probably illicit some eye rolls and belly laughs. It would probably read something like this: "I have acquired some great skills over the years staying home with my kids. I can cook some seriously delicious meals, create a budget and manage the finances, efficiently grocery shop, plan some amazing vacations within a budget, plan fun events and parties, bake without nuts, and multi-task with the best of them." Well, to this employer, these skills are extremely valuable and they are the very services we offer to our customers. As we continue to build our customer base and receive feedback from the community, more services will be added. For the most part, we are only able to serve customers living within the Quad Cities, but there are a few, such as family-friendly meal planning and planning a customized vacation, that can span all geographical areas. Creating a business of my own has offered me the opportunity to take control of my future and work toward a goal. Just like anything else it will take time to grow and blossom, but I am looking forward to the challenges and rewards that lie ahead. It will take a lot of hard work, but it will be worth it. What starts off as a small idea has infinite potential to grow and I look forward to the journey. I have adopted a new motto: "The only thing standing between you and your dreams is you." It's time to get out of the way. If you're short on time and need some help, we're here to help! Contact the QC Busy Bee today at qcbusybeeconcierge@gmail.com or 563-484-9402. 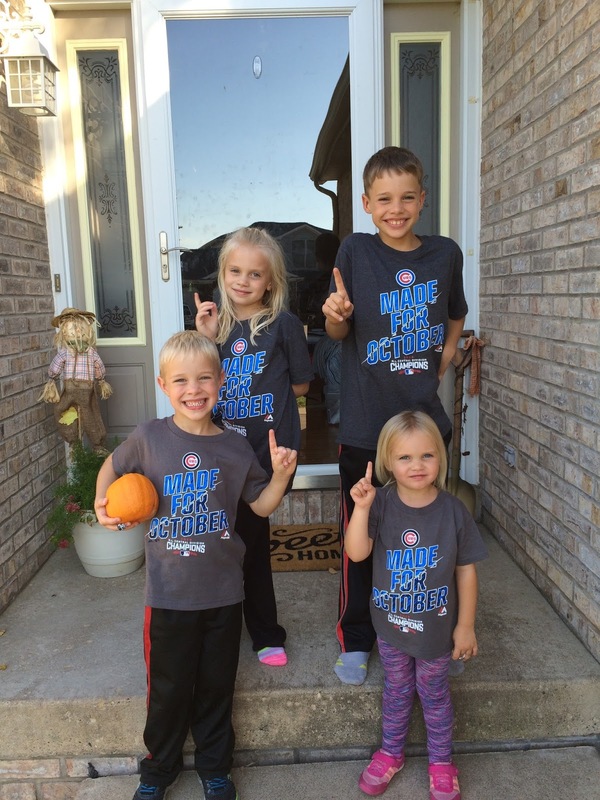 Fall is upon us and this October our family is so excited to be cheering on the Cubs this post-season. The game times have wreaked a bit of havoc on my dinner schedule, but some early prep work has paid off. We've managed to eat on time and watch our beloved Chicago Cubs! The night of the one game wild-care match-up, we enjoyed some delicious Creamy Chicken and Mushroom Soup. I'm always on the prowl for new soup recipes to add to my Souper Sunday collection and this one was a winner. I found this recipe on Damn Delicious and adapted it a bit. If you are looking for something on the healthier side that's easy to make, this is your soup! Enjoy! Melt butter in stock pot over medium heat. Add garlic, mushrooms, onions, carrots and celery. Cook, stirring occasionally, for 3-4 minutes or until tender. Stir in thyme. Whisk in flour until lightly browned. About one minute. Whisk in chicken stock, bay leaf, and chicken. Cook stirring constantly until slightly thickened 4-5 minutes. Let simmer for 20-30 minutes until all vegetables are cooked. Add half and half and heat through. Add salt and pepper to taste. The dip in the temperatures today sure makes it feel like fall has arrived. The little lady and I decided to stay snuggled up in our warm, dry house today and naturally, bake something yummy! Today we opted for one of my favorite fall treats: apple crisp. My mom always made amazing apple crisp and I must admit, I have been able to follow in her footsteps. This yummy dessert is nut-free and the topping is so delicious you'll have a hard time stopping at one piece. So, from our house to yours, here's our version of apple crisp. Enjoy! In a bowl, mix the apples, sugar, flour, and cinnamon. Set aside. In a separate bowl, mix oatmeal, brown sugar, flour together. Chop the butter through the mixture. Lightly spray or rub oil in a pan. Put in apple mixture, sprinkle topping mixture on top and back for 45 minutes in a 350 degree oven. Top with Cool Whip or vanilla ice cream. 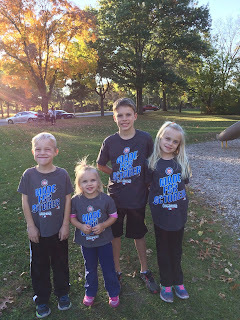 I am a former early childhood teacher turned stay-at-home mom of four beautiful blue-eyed kiddos born within 6 years. Life is a journey and thus far it has been far from dull. Our children have a melting pot of needs: a peanut/tree nut/shellfish allergy, Tourette Syndrome, ADHD, Anxiety, Obsessive Compulsive Disorder, dysgraphia, and sensory processing challenges to name a few. Managing our kids' needs is a messy, beautiful adventure.